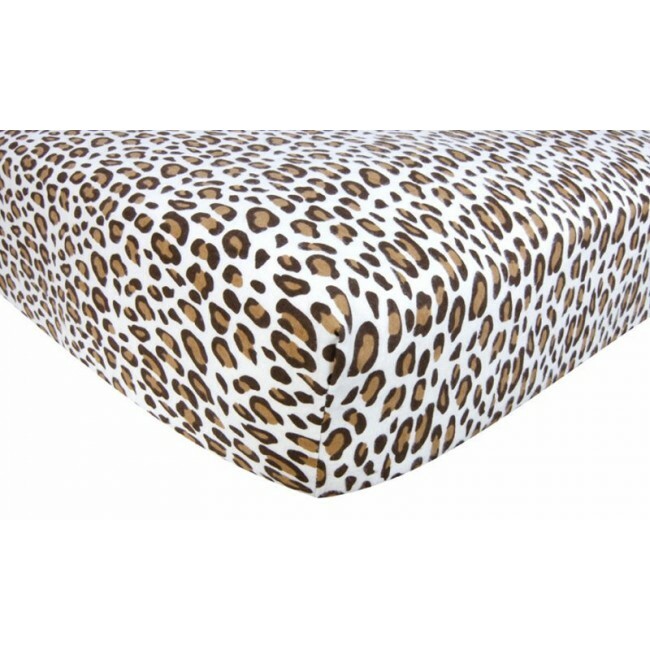 Your child’s bed will be soft and cozy with this Leopard Print Cream Flannel Fitted Crib Sheet by Trend Lab. Sheet features a chocolate and caramel leopard print on a cream background. Sheet features 7″ deep pockets and fits a standard 52″ x 28″ crib mattress. Elastic around entire opening and elastic sheet straps sewn in each corner ensures a more secure fit.